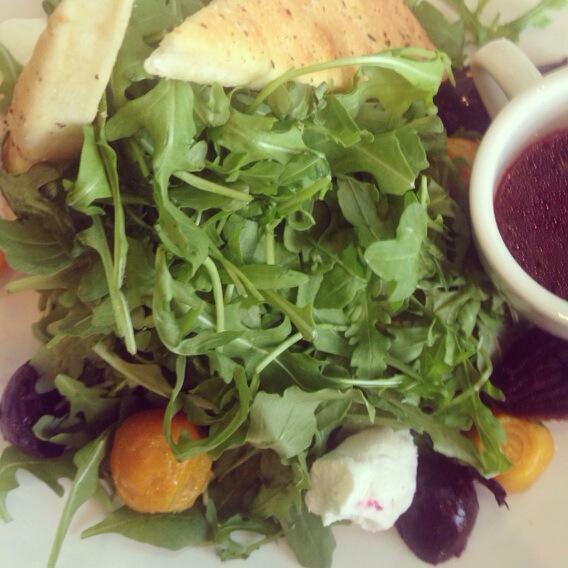 Busboys and Poets | Gluten Free D.C.
What I got: Roasted beet salad with baby red and gold beets, arugula and goat cheese with pomegranate vinaigrette. (I asked them to hold the roasted walnuts, and I gave the pieces of bread to my friends.) I’m not the biggest fan of arugula to begin with, and the uneven ratio of greens to everything else made me a little sad. The fact that everyone else ordered heaping plates of gluten-filled brunch food didn’t help the situation. Unfortunately, I wasn’t quite full after my meal. Gluten-free friendliness: You’ll find a decent number of gluten-free options on the menu no matter what meal you eat here. The gluten-free and vegan options are nicely labeled, so you don’t have to work that hard find something that’s safe to eat. Highlights: there’s a gluten-free pizza option and two gluten-free cakes for dessert. 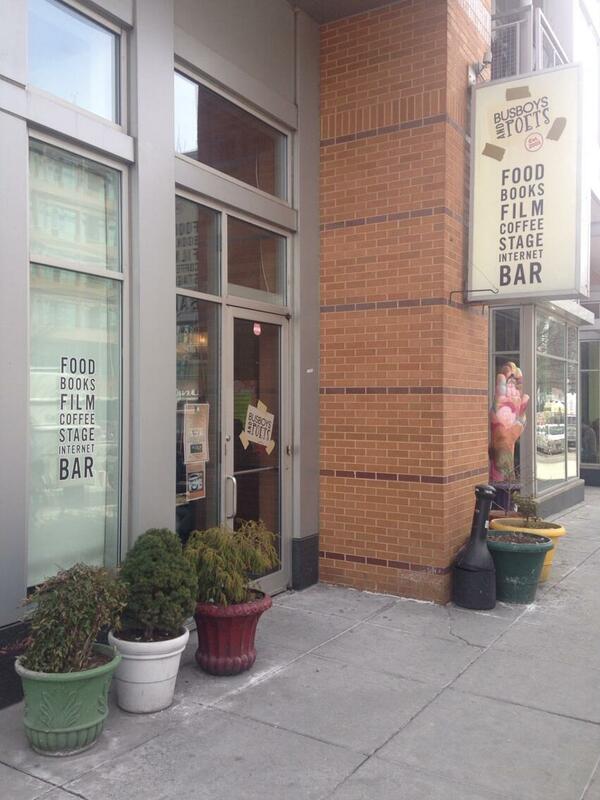 Overall vibe: Busboys and Poets is part bookstore, part cafe and part restaurant. The 14th Street location was mobbed when I went on a weekend despite the huge space. It’s a popular spot, but I have conflicted feelings about the place. The space feels generic and lacks charm. That said, it’s hard to argue with a restaurant that knows how to cater to customers with dietary restrictions. This entry was posted in Chain, U Street and tagged Brunch, Busboys and Poets, DC, GFDC, Gluten-free diet, Gluten-free food, GlutenFreeDC, Salad, Washington. Bookmark the permalink.